What is Enriched Air (Nitrox)? Enriched air, aka NITROX, has higher oxygen content than normal air, and is now widely used in scuba diving. Enriched air provides an increased Non Decompression Limit (NDL) and a decreased risk of nitrogen sickness, as well as decompression sickness compared to using normal air. The major difference between scuba diving and above-ground activities is the limited amount of oxygen available to scuba divers. This is well known, even among non-divers. What is probably not obvious for non-divers, is that you will be breathing air in a high pressure environment under water, and this has significant implications for your body. Roughly 4/5 of the air we breathe on the ground is nitrogen. When you breathe this air in a high-pressure environment, you will absorb more nitrogen into your body. One of the major risks of excess nitrogen in the body is nitrogen sickness, which results in symptoms similar to intoxication. 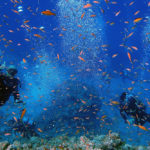 The second major risk of scuba diving occurs when one ascends too quickly from the high-pressure environment of deep water to the ground level. When a diver ascends too quickly, there is not enough time for the body to discharge nitrogen, resulting in bubbles in the bloodstream as well as other parts of your body. In order to avoid these risks in recreational diving, you are recommended not to exceed maximum diving depth of 40m, and to not ascend faster than 18m/min. 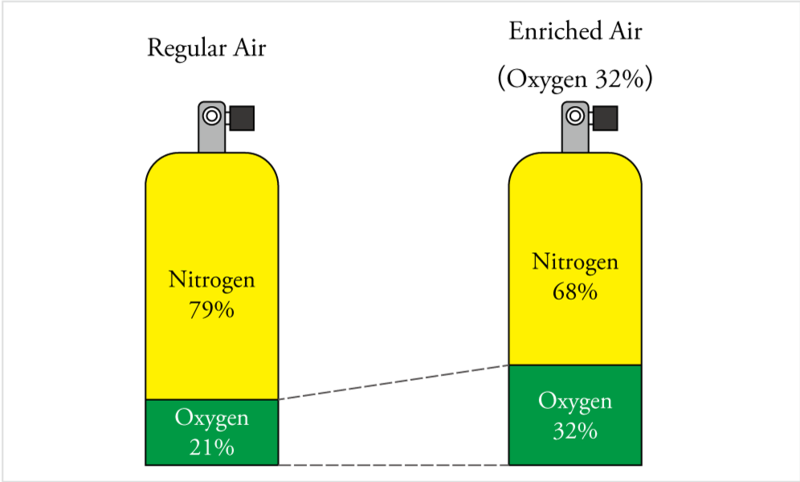 Enriched air has higher oxygen content; while normal air has 21% oxygen, enriched air usually has 32-36% of oxygen. As a result, less nitrogen is absorbed by the body, reducing the risks of nitrogen sickness and decompression sickness. This allows for extended diving time. Enriched air is also believed to make divers less tired than when they use normal air. On the other hand, there is a risk oxygen sickness. Enriched air reduces the risk of nitrogen sickness and allows for longer total bottom time, but increases the risk of oxygen sickness when diving deeper. Whether you will be using regular air or enriched air, you should keep your maximum depth to no more than 30m. Also note that even though you will have longer NDL time, you can only stay in the water as far as you have air in your tank! 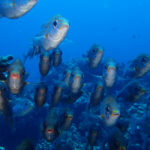 Enriched air is now widely used in diving all over the world, and it is gradually becoming common in Japan. You will usually need to be certified as Enriched Air Diver (EAD) to use enriched air tank, but some dive centers will allow you to use it on trial basis, under supervision of experienced instructor. Prime Scuba Ishigaki offers Enriched Air Diver (EAD) certification program as one of our specialty course. You can participate in the program if you have OWD or Junior OWD certification, and 12 years old or above. Enriched air tank is available at Prime Scuba Ishigaki (extra charge), and you can try even if you are not certified as EAD. Please ask our staff for more details.